This has just gone up for sale on KT Miniatures and has to be one of my most favourite pieces of the vintage Britains Lead Garden Series of all time. For me it evokes all kinds of images of an era long gone - so very 1930's. With the right style of vintage dolls house, maybe one that has a fixed ledge frontage, this would look fabulous! The Britains flower beds can also add a real touch of lovliness to ones vintage house- I usually have at least one filled corner bed sitting at the front of my old 1930s Hobbies House...however due to my two kittens who are now taking a keen interest in practically anything large or small, mine have had to be temporarily put away...(the lead flower beds I mean)! The gate opens and shuts freely and comes with two beautifully moulded and painted hedge sections. Although in reality all of Britains Garden pieces are manufactured in 1/32 scale, to be honest, it's scale is irrelevant in my opinion when used with old dolls houses and can look just as good with both 1/12th and 1/16th dolls houses. I do have more of these lead garden items to list over the coming week or so (various filled flower beds mainly).....but due to the school holidays still being in full swing here, my teenage offspring and visiting niece this week are needing a bit of ferrying around & attention...(I think I should just stick a great big sign saying TAXI on the roof of my car...and be done with it! )...therefore my time is rather limited and my "to do list" is becoming even longer at the moment. My apologies to anyone who has been waiting for the past three weeks for these Britains items....hopefully KT Miniatures routine will get back on track very shortly. 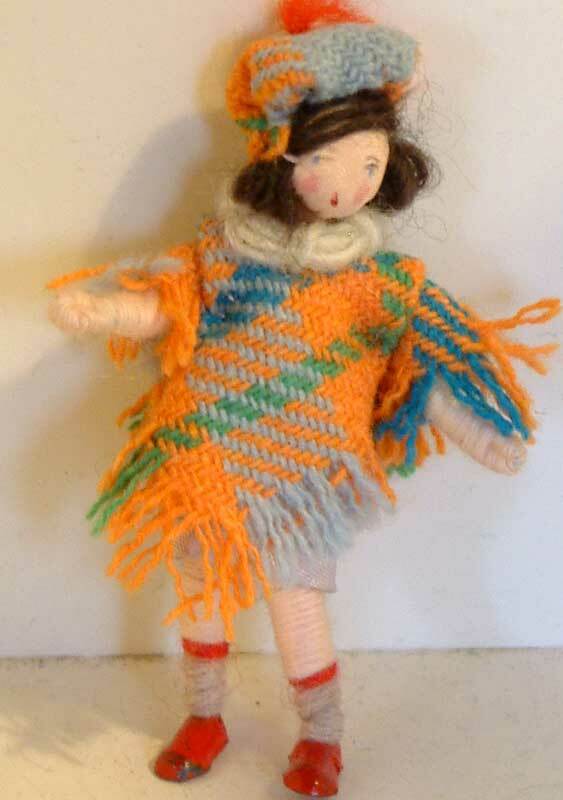 If you are a lover of these little vintage Grecon Dolls, then you may be interested in a whole load that have just come in that are currently going up for sale on KT Miniatures. They belonged to an elderly lady who worked for Galt in London and it is assumed that this is where they came from as apparently Galt did sell Grecon dolls. 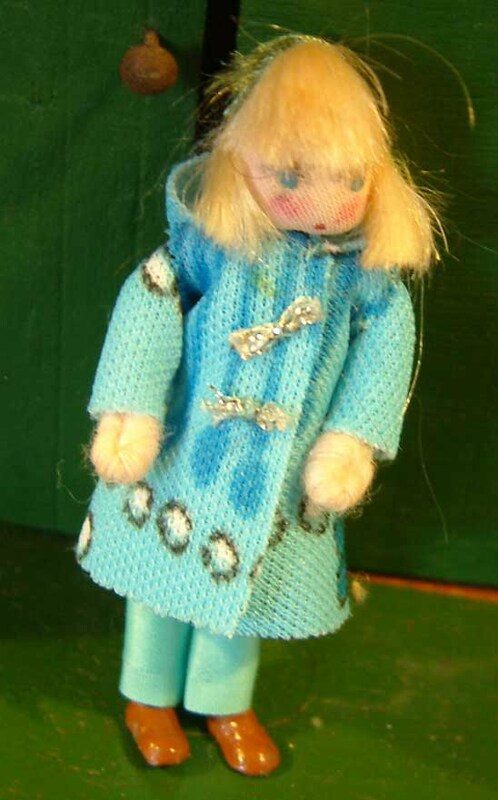 I often find Grecon dolls very difficult to date, however several of these are quite distinctively dressed and there is no doubt that they derive from the latter part of the 20th century! What is quite remarkable, is that they are simply in pristine condition, never having been played with but instead stored away carefully in a box! The lady who owned these has sadly passed and the new owner who inherited them knew that they were very special and want all of these to go to a good home. Judging by the speed in which these are being snapped up, I am left in no doubt that these are going to be well treasured! I love some of the hair styles of the little girls....very trendy and some of these have imitation hair instead of the normal woollen hair that all previous Grecon dolls would have had. I am assuming these were the more modern of the bunch? 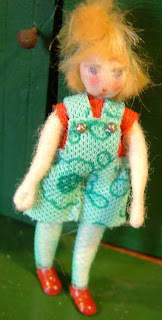 There are still more to be listed and there will be a considerable few with some real whacky 1970s outfits! Also, you may be interested to know that their shoes are very different in so much as many of the larger shoes have no heel however several do but judging from the style of the clothes, these have all been made around the 1960s/1970s, possibly early 1980s? Also some of the smaller shoes do have heels but some don't....even some dolls with matching outfits (so made at the same time) have different style shoes to each other......there does not seem to be a dinstinctive rule? 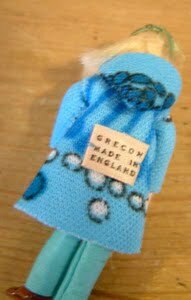 Every single doll (and there are 60 of them) have a label on the back that states "Grecon Made In England".